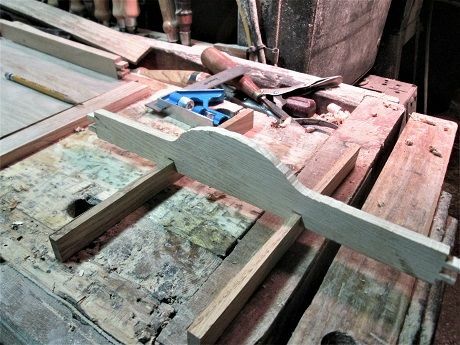 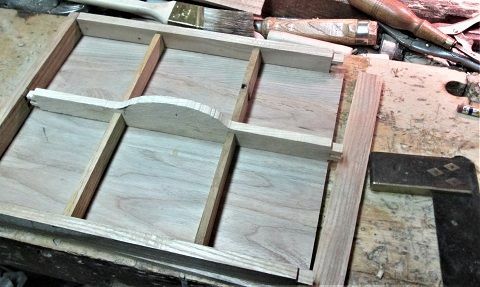 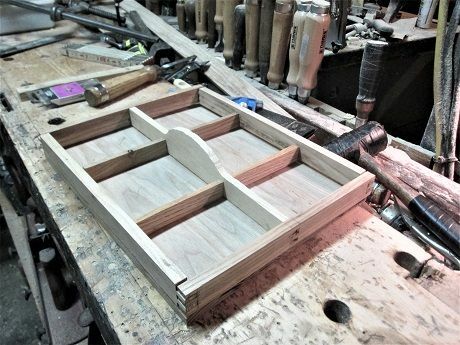 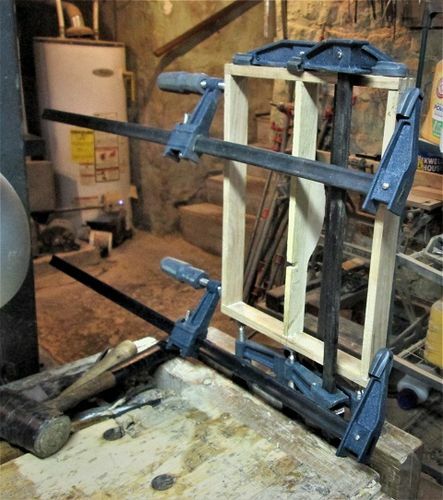 First, decided to add a couple dividers, to make 6 compartments….stock was a bit too thick…we have ways..
Next, lay out where they will go…and notch the handle…about 3/8” deep..
Then mark the dividers for their notches, and notch them to fit.. 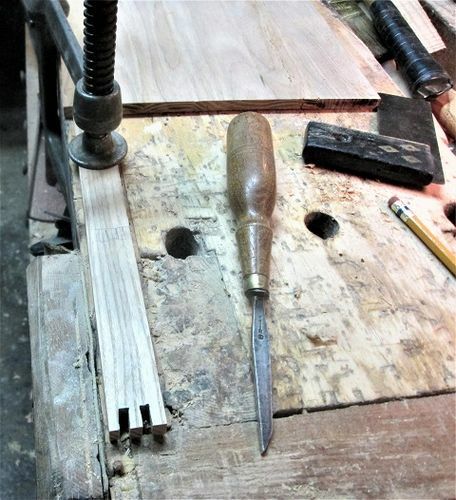 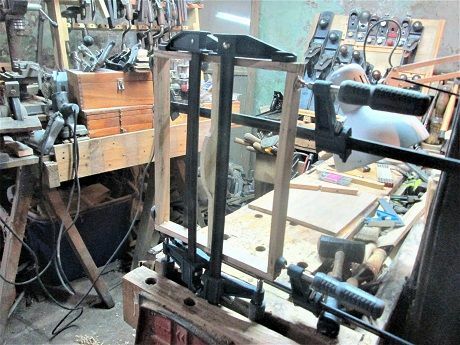 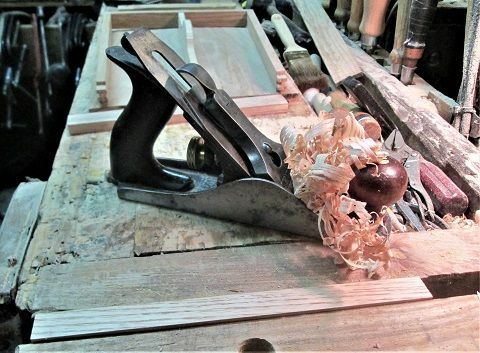 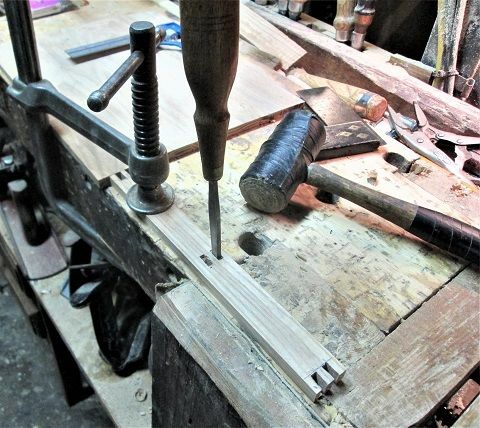 But, I needed that old Sash chisel to chop two through mortises for the handle’s finger to fit into.. 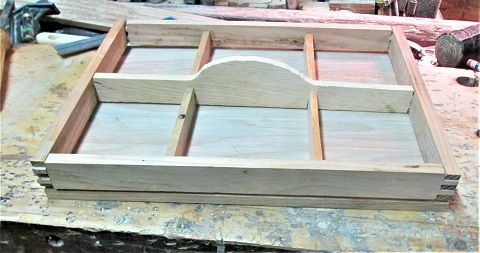 Couple gaps, mainly from the handle piece..
Decided to try a glue up….once things were fitted a little better….which is where the cussing really got going…trying to connect all those parts…with just 2 hands….they either wanted to all fold up, or fall apart while trying to hit the floor….was finally able to get 3 clamps in place…then the handles for those clamps were held loosely in the vise..
yep…forgot to put the dividers in…..they are laying in the background, on the panel for the tray’s bottom..